Nikola Vaptsarov House Museum was turned into an actual museum back in 1952. Restoration has been done 3 times - in 1960, 1979 and 1992, with the current exposition at a very high professional level. Relatives of the family lived in the house up until it was transformed into a museum. An exhibit was officially arranged in the house in 1952 and it was opened to visitors. 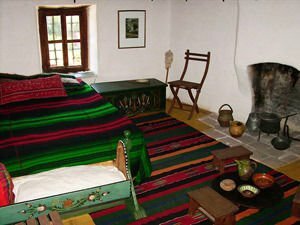 The furnishings in the rooms were laid out by Nikola Vaptsarov's mother, "Baba Elena" as everyone calls her, in the same way they stood during his adolescent years. She also helped turn the house into a museum. 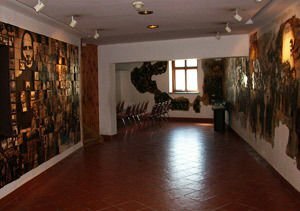 In 1992, a new exposition was added to the house, the work of a team of experts from Boyana Film Center, with director V. Radev in charge. Figuratively speaking, Nikola Vaptsarov House Museum is an exposition of 3 separate stages of the life of the poet-revolutionary. The name "Nikola Vaptsarov House Museum" comes from "Vaptsarov House", also revealing the name of the family once living there. Nikola's mother was from the Vezyuvi family and his father from Prodachini. 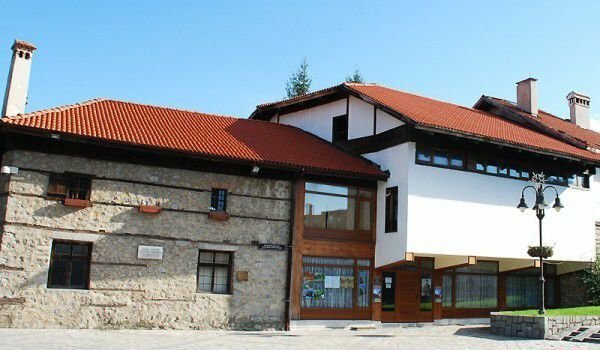 The house was a Vaptsarnitsa, meaning a dyehouse in the Bansko dialect, which was how the family earned the name Vaptsarovi. There is a lecture hall on the ground floor, where they project films about Nikola Vaptsarov, play one of the poet's favorite songs, stories from his mother and his poetry, which are also translated into several languages - English, German, French and Russian. 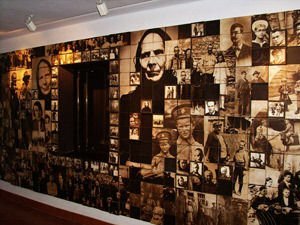 The family tree on the 1st floor also makes quite an impression, it includes not only the Vaptsarov family but also many of the famous families in Bansko. On one of the walls of the verandah there is a tile with an impressive list of names of historical figures who have all been guests of the house of Nikola Vaptsarov, including Peyo Yavorov, Todor Aleksandrov, Elin Pelin, Elisaveta Bagriana, Boris III of Bulgaria, Ferdinand I, Dimitar Molerov, Gotse Delchev, Angel Balev, Hristo Chernopeev, Yane Sandanski and many others. There are 3 rooms on the 2nd floor, where Vaptsarov's family lived - he had one brother, Boris, and one sister - Rada. Over 4 million visitors of all ages and nationalities have been guests of the museum. In 1952, Vaptsarov received the International Peace Award posthumously at the World Peace Council. To mark the occasion, thousands of admirers of Vaptsarov came to Bulgaria in 1953. Cuban poet Nicolás Guillén wrote, "Nikola Vaptsarov is a giant tree, whose roots lie deep in the hearts of Bulgarians, while his branches stretch out to all who fight for peace."